Afternoon tea is a very special English activity. Designed to fill the gap between lunch and a late evening meal, Afternoon tea is a delicious mix of little sandwiches, cakes and a refreshing pot of tea. And there are plenty of venues to choose from. 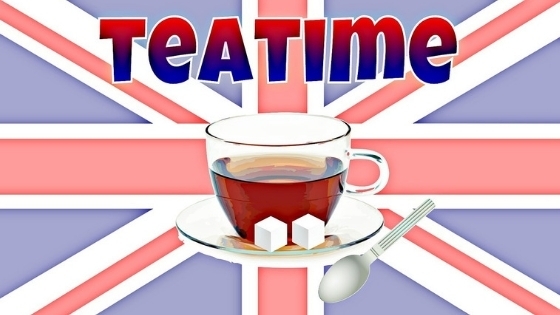 While a resident at Regency House Hotel in London, you can have a refreshing and tasty sip of British tea. How about visiting the place where it all began – the Langham Hotel near Oxford Circus? English ladies began taking afternoon tea here back in 1850 and were soon joined by male friends who appreciated the need for a little snack in the middle of the afternoon. Afternoon tea at the Langham is pure, undiluted grandeur. The elaborately decorated Palm Court is decked out with lavender and sage leather armchairs, little tables adorned with sparkling white tablecloths and lots of fresh flowers. Sit back and enjoy the gorgeous menu of traditional delicacies given a contemporary twist such as English Rose and lychee log, smoked salmon with whipped Brie and rocket sandwiches, or a delicious slice of strawberry and white balsamic Victoria Sponge. You need to dress up to go to The Ritz. Formal wear is essential. No trainers, jeans or sportswear are allowed. Even gentlemen have to wear a jacket and tie. It is an amazing experience, pure luxury, and indulgence. Sit at little tables under the superb glazed skylight, surrounded by lush ferns and drink your tea from delicate china. Over 16 different varieties of tea are available, so take your time to make the right choice. Accompanying your tea will be a range of pretty sandwiches and cakes, all of which will be tastefully arranged. The Goring Hotel offers something a little extra special. If it is sunny, you can enjoy an alfresco tea in the garden. A roaring fire in the lounge will keep you warm in the winter. Every pot of tea is perfectly brewed and accompanied by finger sandwiches, buttery scones, and delicate cakes. One of the most stunning ways to enjoy afternoon tea is to head for one of the restaurants offering panoramic views of London’s skyline. Book your stay at any of the hotels in Covent Garden in London & have an easy access to the OXO Tower restaurant on the seventh floor from where you can have stunning views of St Paul’s Cathedral and the River Thames, but for really spectacular 360-degree scenes you do need to go just a bit higher - the 35th floor of The Shard near London Bridge. The massive floor to ceiling windows in the Shangri-La Hotel restaurant offers uninterrupted views across the City of London, Tower Bridge and even down as far as Greenwich. The delights of afternoon tea with lemon lavender tarts and salted cucumber with pink peppercorn cream cheese sandwiches do take second place to that spectacular view!